This is still a thing, right? Posting about purchases at shops? If not, call it a revival. I wouldn't call myself a die-hard, but I really do like this store. I walk in an ooh and ahh just about everything in there. I easily lose track of time when I visit (I was in there today for over an hour!) and my restraint is always tested. Today I did alright... I went in for one thing, possibly two. I walked out with only three. And let me stop complaining. 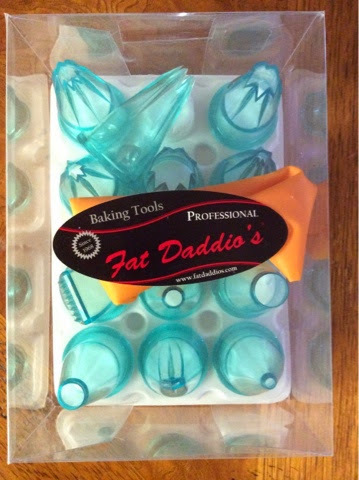 The pastry bag by itself goes for $17.95. This kit has the bag plus plastic tips for $24.95. I don't know about you, but I think it's a good deal. I'll let you know how well it works on cookie dough. Will be perfect for piping whipped cream or meringues. And because it's a silicone bag, I can use it over and over again. This is the reason why I stopped into the store today. I flipped through the mailer and saw this beaut, along with a milk frother and pressure cooker oven. 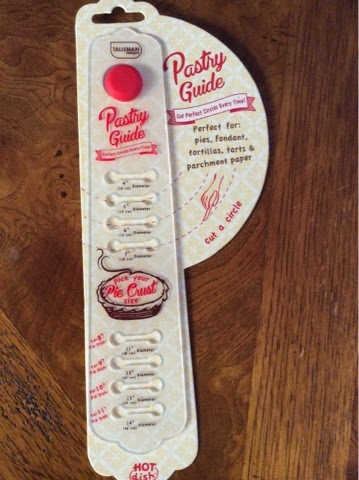 Never going to get the frother or oven (unless gifted or given to review hinthinthinthinthint) but the guide is more than reasonable. They are selling it for $9.95. And as the packaging states, it can also be used for fondant, tortillas, and parchment paper. If only I had seen this a couple of weeks ago. But it's the holiday season and pies will be made. Many many pies will be made. You could have pie if you want. I really like the whole process of making them... not really eating them. Maybe a bite or two, but not necessarily a slice anymore. My apptite is weird, I know. 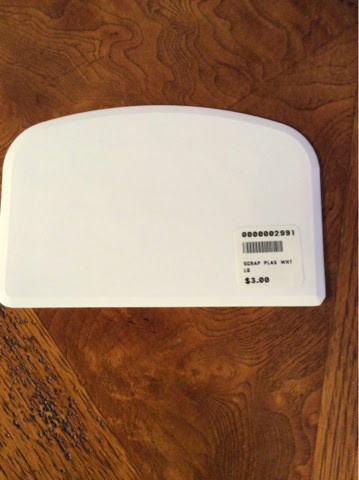 A bowl scraper, $3.00. Nothing fancy here, but it will be a workhorse. I've bought some before at the dollar store, but they always ended up being used for home repair. I follow some bakeries on Youtube and I've noticed some use the scraper when mixing dough by hand. I think I'll try that technique on my next batch of bread. 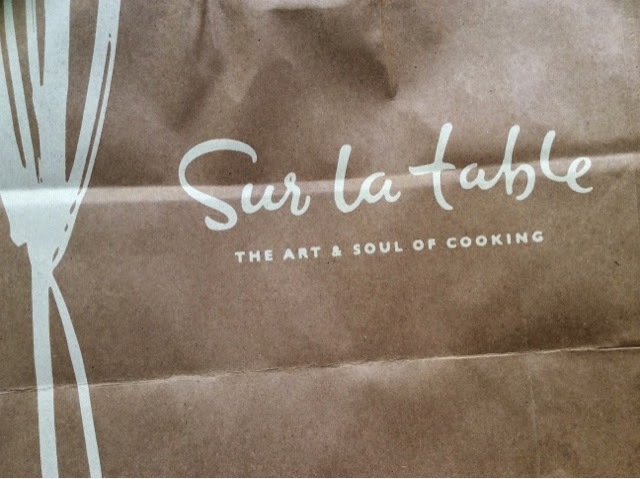 I really hope Sur la Table thinks about opening a place in the Capital Region. I <3 them. Really do. I harvested more of what remains of my garden and brought it down to my parents. They took all of the kale, chard, and a big chunk of celery. My sister is digging through the sweet potatoes and onions, hopefully she can use it. Definitely use the sweet potatoes and celery for juicing. We don't have cable so I get my tv fix whenever I visit. Let me tell you, I really like the new shows on CBS. Stalker, Scorpion, NCIS New Orleans, Madam Secretary. Good stuff. AC Moore is having their Moonlight Madness sale tonight. 25% off total regular and sale purchases. But you need the coupon. Ends at 9pm. I bought a book at Costco, Against All Grain. Pretty excited about it. Not excited that they only accept American Express. But as my dad has explained, their credit card is connected to American Express. I never have cash and I only use my debit card when absolutely necessary. Boo, Costco. There is leftover Halloween candy. At first I resisted, but Nestle Crunch. I'm a sucker for them.